Great piece on the challenges that Google has in relation to time and user interaction models on mobile. Search provided consumers with simplicity of discovery and pathing on desktop, but on mobile the user journey is more fragmented and also a single tap to discover (and with voice interfaces even easier) so the number of searches per day, per user is dramatically less on mobile than desktop. 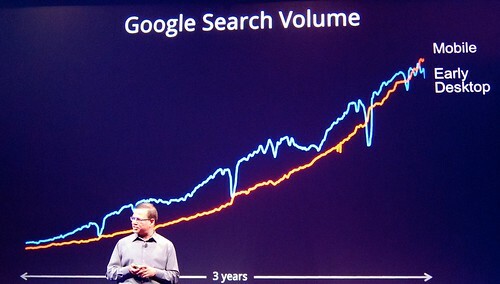 This is creating an exponential challenge for Google, as Apple integrates search into the core iOS, Android is an open OS, so is not one flavour on all mobiles and also the tap/app/tap/app model means that consumers have the information they are interested in right there …no need to use the Google box to navigate to it.